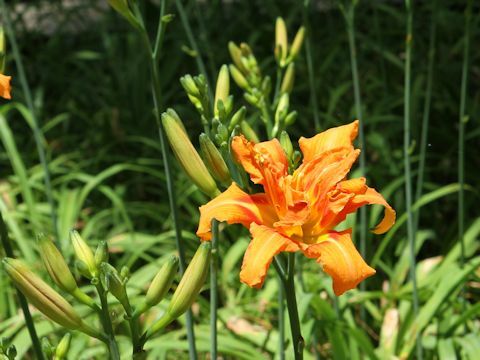 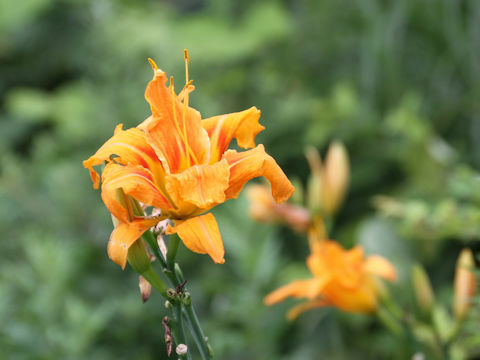 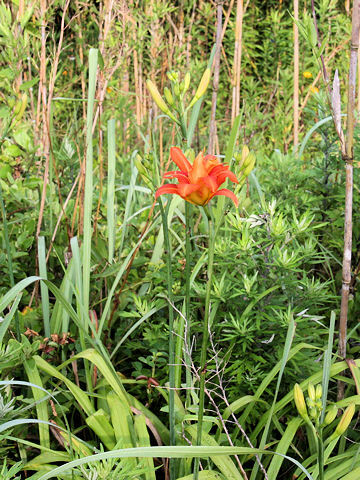 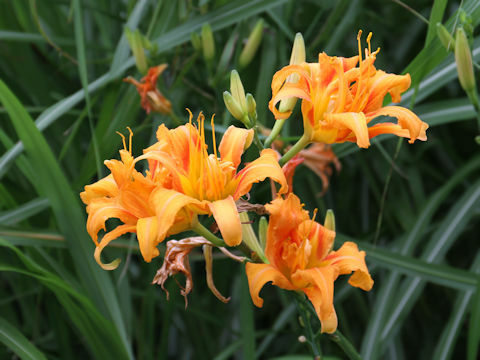 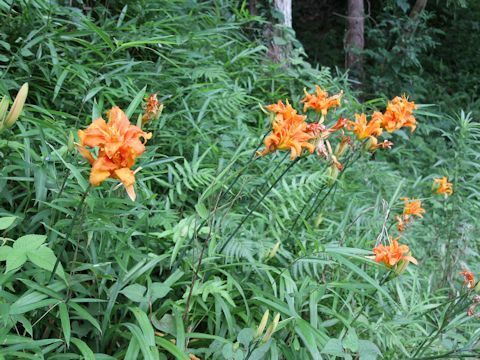 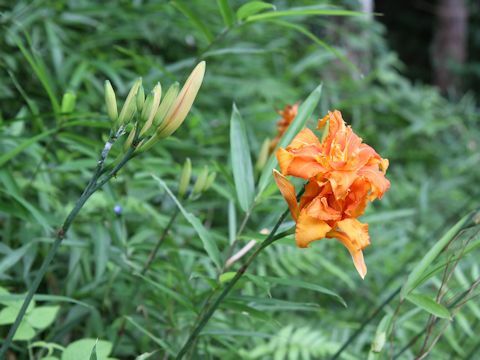 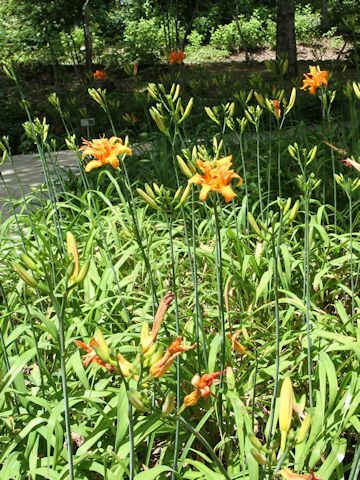 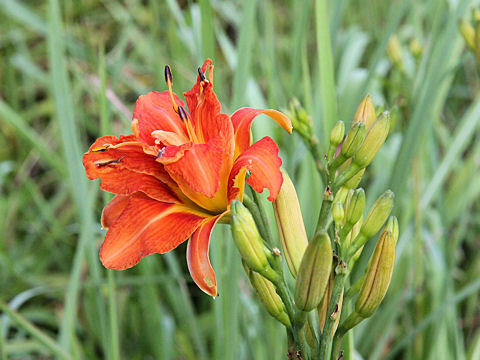 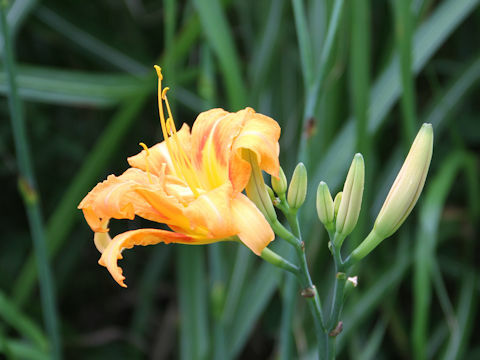 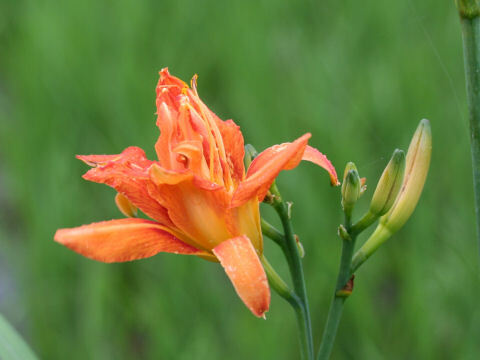 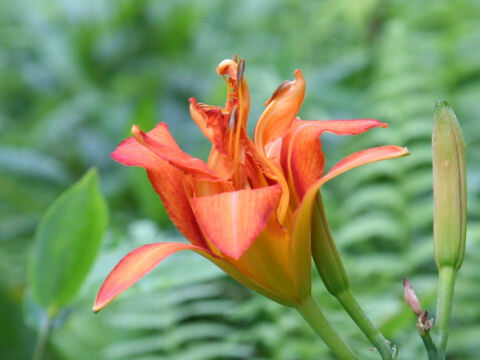 Tawny daylily (Hemerocallis fulva var. 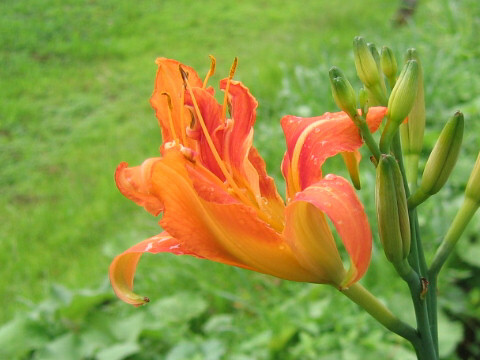 kwanso) belongs to the Liliaceae (the Lily family). 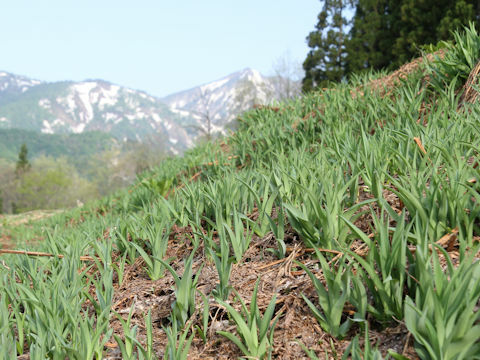 It is a perennial herb that is native to China. 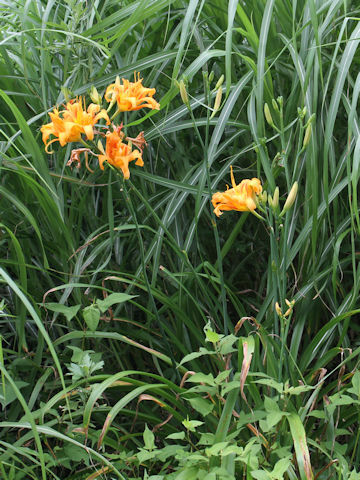 It was introduced into Japan in the ancient days, and nowadays it is natiralized and grows in banks, water's edges or grasslands near town. 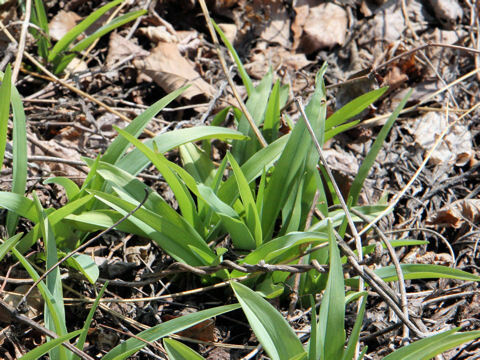 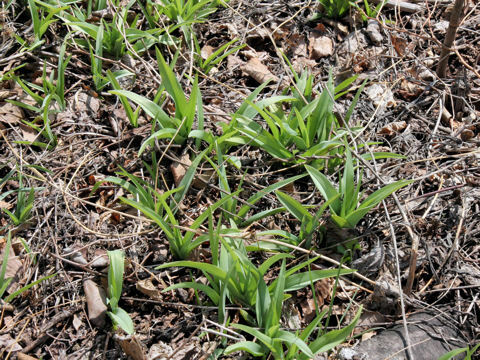 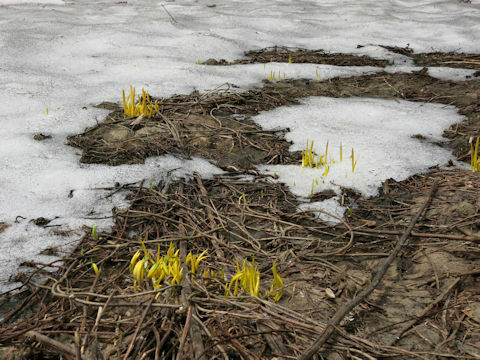 This herb spreads by stolons and often forms clumps. 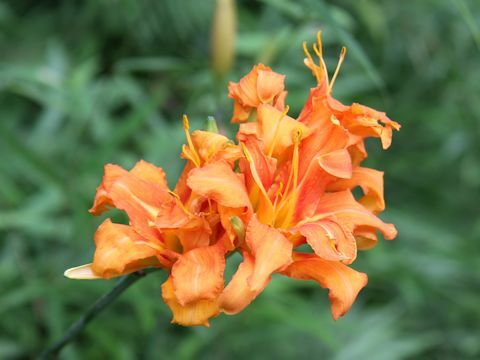 The orange double flowers come in July and August. 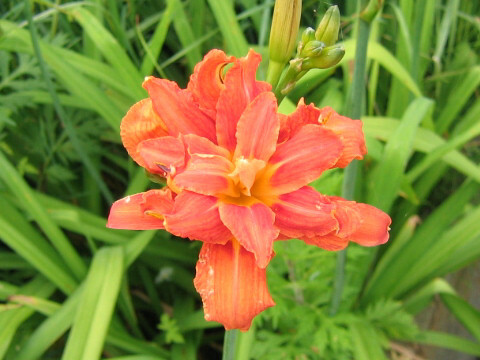 It is a triploid plant and never bear fruit. 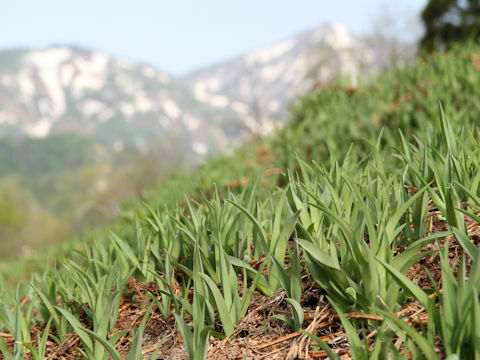 The young shoots and flowers are edible. 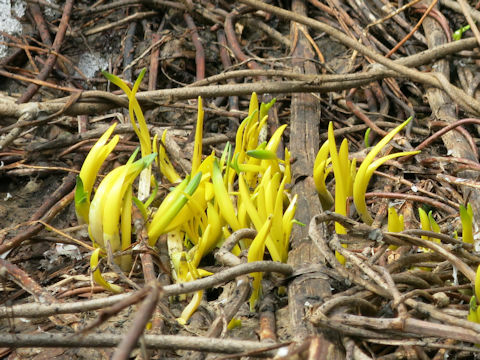 The rootstocks are used as a herbal medicine for hydragogue.